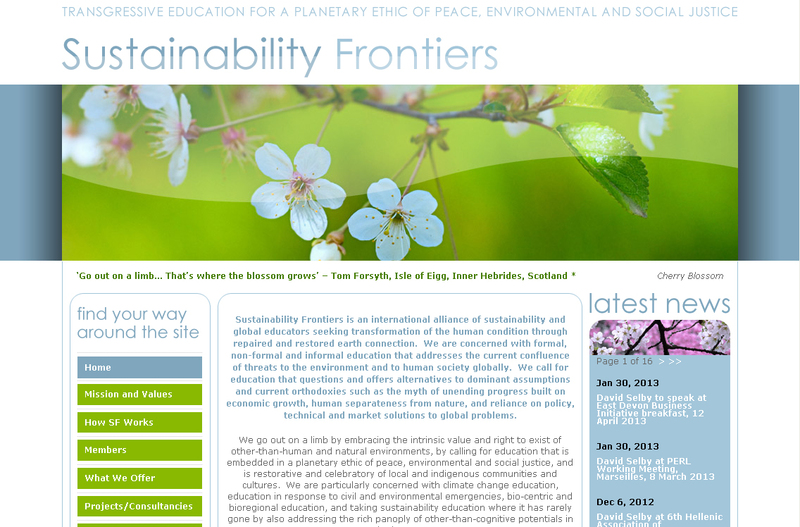 Sustainability Frontiers is a not-for-profit community interest company (CIC) that undertakes consultancies and funded innovation in the fields of education for sustainability, climate change education and disaster risk reduction education. Our main clients are UNESCO, UNICEF, Save the Children Fund and Plan International. Our experience of working with Cosmic has been unreservedly positive. Incorporated in November 2009, we worked intensely with Cosmic staff on website development in December 2009 and January and February 2010. They were unfailingly helpful in giving advice, in suggesting and presenting examples of different website styles, in proposing creative solutions, and in gently guiding us through what might have been a thicket of decision making. Their approach was truly sensitive to client needs and decidedly collegial. We were very grateful for the tuition received on how to amend and update the website, tuition that has stood us in very good stead. We are able to maintain the website ourselves only reverting to Cosmic for fundamental structural changes. We are convinced that the quality of our website has really helped us in developing working partnerships with globally significant international development organisations. As soon as our website was launched, we began to receive congratulatory messages expressing admiration for the attractiveness of the website. Those messages continue to arrive to date. In 2010 we sub-contracted Cosmic to evaluate a website, a task that was part of a broader institutional evaluation we had been hired to conduct. Cosmic officers were excellent; thorough, insightful and delivering to schedule. We are intermittently in contact with Cosmic and every time we approach them for support they maintain the high standard of professionalism we have come to expect. I commend Cosmic to you unreservedly.